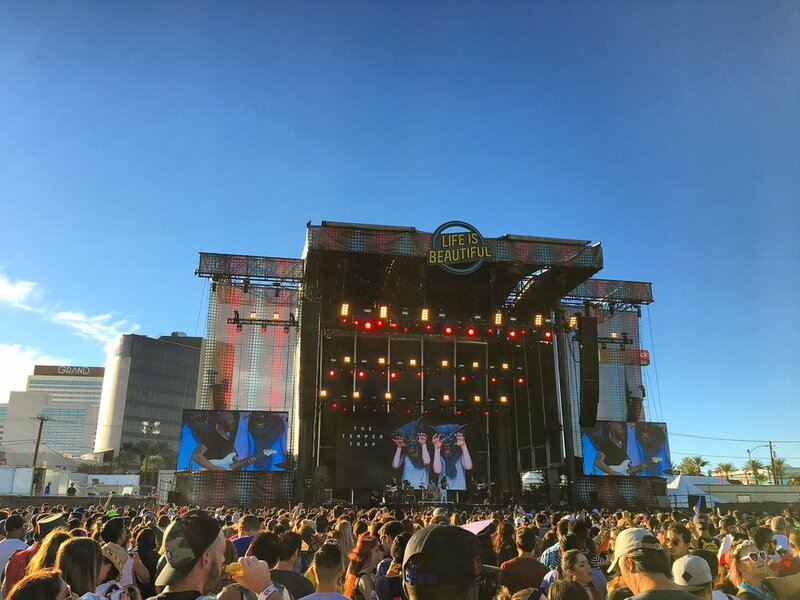 Client and partner vendor Felix Lighting brought us in for another year of handling lighting direction, logistics, and systems integration on the main stage at Life Is Beautiful festival in Las Vegas. With dozens of bands coming in over the course of the weekend, being able to efficiently and smoothly integrate guest LDs and floor packages is a key component of this show. Lead Aron Altmark also provided house lighting direction for artists that did not have their own team traveling with them. Headline artists included Mumford and Sons and Flume.